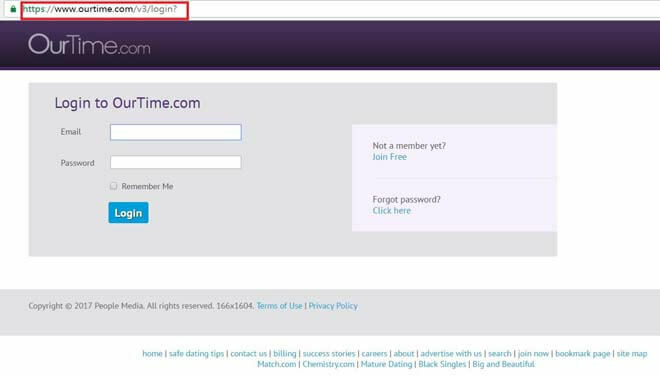 If you have ever read our top senior dating sites list and have gave ourtime a try then you may also need help from this article like many other members that already signed up on the site. Ourtime is a big site with somewhat sophisticated system and like many other over 50 singles, you may not be that tech savvy as the young crowds. We can see a lot of members that searched on the web for help with outime login related issues. So here we are to clear all the questions. 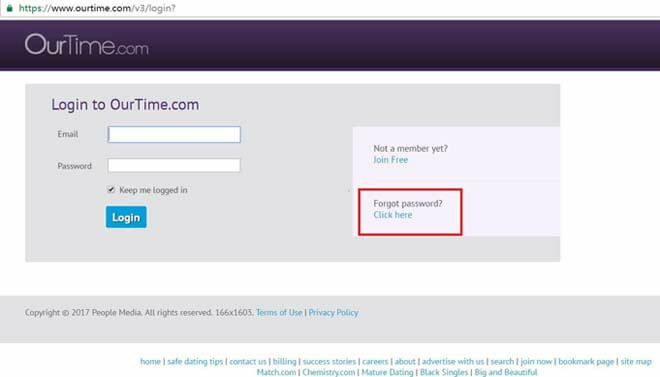 How to login to Ourtime.com? 1 Going to the homepage of ourtime.com by typing ourtime.com in the address bar of your browser. Once you see the homepage, click the “log in” at the top right corner of the page. Then you will be redirected to ourtime login page. Enter your correct username and password you registered with to successfully sign in to your account. 2 You can also sign in directly by visiting ourtime.com login page at https://www.ourtime.com/v3/login? . Again, enter your correct account information, you will then be lead to your account after you click the login button. We all have senior moment and yes we do. We often forget about our account information, the passwords and username kind of things. 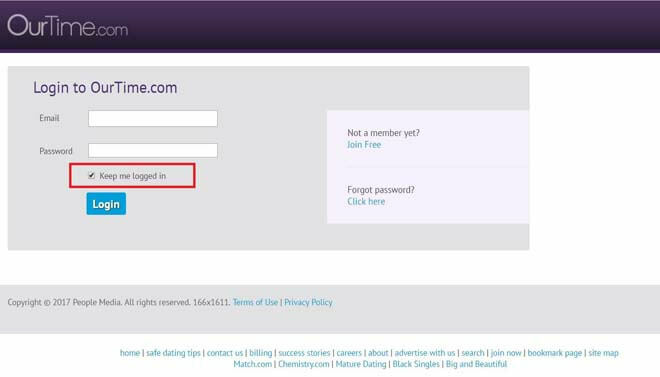 It is recommended that you can write down your account information when you register on the site. And auto login is another good feature for us. To get it done, You just simply need to check the box before “keep me logged in” when you finish entering the login details. 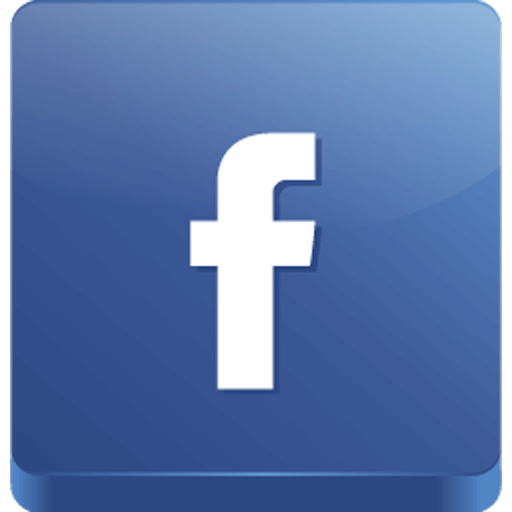 It will remember the login details and automatically sign you in whenever you visit the site. If you feel like that “auto login” is a feature that you don’t need anymore, you can cancel it anytime by logging out the site manually first. The “Log Out” option is located in the drop-down menu of “settings” in your account. Get logged out successfully first, then log in the site next time without checking the box of “keep me logged in” on the login page. What If You Forget Password? If you happen to forget the original password you have set when you register. 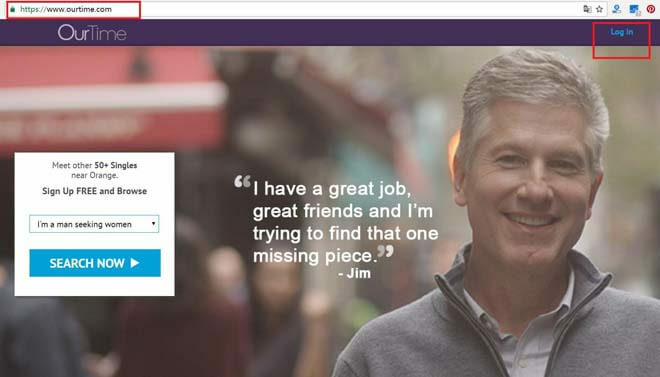 Don’t worry, just use the “Forgot password” feature on the login page. Enter your registration email and then follow the steps to reset your password. If you would like to know more details about ourtime.com like ourtime membership cost, ourtime search, ourtime customer service etc, please visit ourtime reviews. Copyright © OnlineSeniorDatingSites.com , All rights reserved.